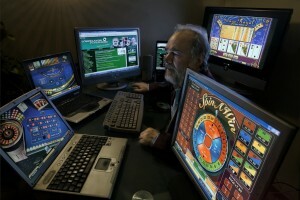 Online gambling has been around for a long time now and managed to gain thousands of fans from all around the world. Understandably, when choosing an online casino players often focus on things like game selection and bonus offer, completely failing to pay attention to another key aspect – licensing. 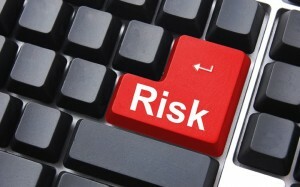 It’s not a coincidence that many reviewing sites such as www.nodepositbonuscasino.uk.com often point out that the casinos featured in their lists are approved and licensed by reputable authorities; that seemingly unimportant information is, in fact, crucial when it comes to players’ safety and security. Therefore, in order to educate our readers a bit more on the topic, we decided to prepare an article that will reveal you the true importance of online casino licensing and thus help you stay safe whenever you try your luck at online gaming destinations. Well, the first and foremost reason is simple; in order to get green light to operate within a certain territory by a licensing body operators must meet high standards. Those standards are related to issues such as security, safety, fairness and even quality of service. This means that players get a set of guaranteed benefits just by joining a gaming site that holds a license by the UK Gambling Commission, Malta Gaming Authority and/or any other authority that is considered reputable and serious. Each separate body has its own licence conditions and codes of practise that have to be respected by both those that want to obtain a license and those that want to keep the one that has already been issued to them. For example, some of the codes of practice published on the website of the UK Gambling Commission include things like “gambling is conducted in a fair and open way” and “assistance is made available to people who are, or may be, affected by problems related to gambling.” This shows how the license covers two important fields – fairness and problem gambling. As we already mentioned, being socially responsible is another requirement that simply has to be met. Operators must make sure that their platform isn’t accessible to minors by employing a strict registration process. Aside from protecting minors, they also have to protect players that have a gambling addiction by providing them with tools to restrict their spending and/or activity at the site. Finally, the last thing that has to be mentioned is related to payouts of winnings. How many times players have been complaining that their operator refused to payout winnings? How many times players have complained that the bonus rules were unclear or hard to find? Well, all these issues are covered by licensing bodies by requiring casino sites to have clear bonus terms and condition that are included in the offer as well as by sanctioning operators that avoid paying out winnings. This way, members can be sure that they will be able to easily withdraw any cash that belongs to them. In case the operator refuses to do so or treats them unfairly, then, at least, they’ll be able to report them at the authority and seek protection that they wouldn’t be able to get when playing at unregulated sites. With this information in mind, it’s more than easy to understand why staying away from casinos that don’t have a gaming license is such a smart choice. The approval to work is much more than a procedure that simply has to be accomplished; quite on the contrary, the license is a guarantee that your chosen operator will treat you respectfully, take care of your personal information and provide you with a safe and fair environment. A thing you have to have in mind, however, is that not all licensing jurisdictions have the same standards. Therefore, the approvals of the UK Gambling Commission, the Alderney Gambling Control Commission, the Malta Gaming Authority and the Gibraltar Betting and Gaming Association are the ones that should mean the most to you. In contrast, those licensed in Curacao, Costa Rica, Puerto Rico and Antigua and Barbuda should be considered less reliable and trustworthy. Licensing does impose certain duties on the operator and some jurisdictions are stricter than others.